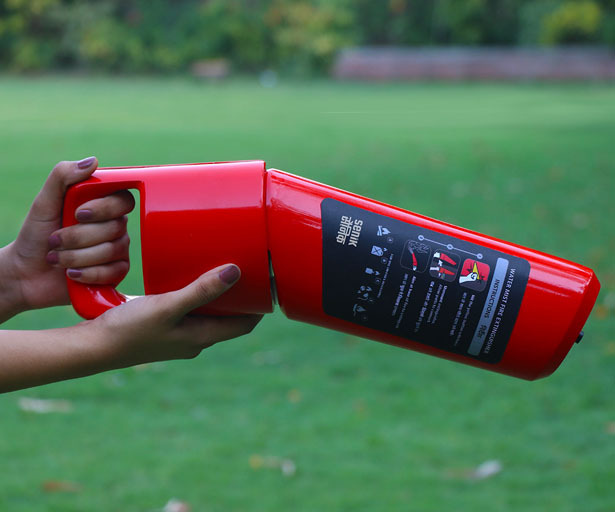 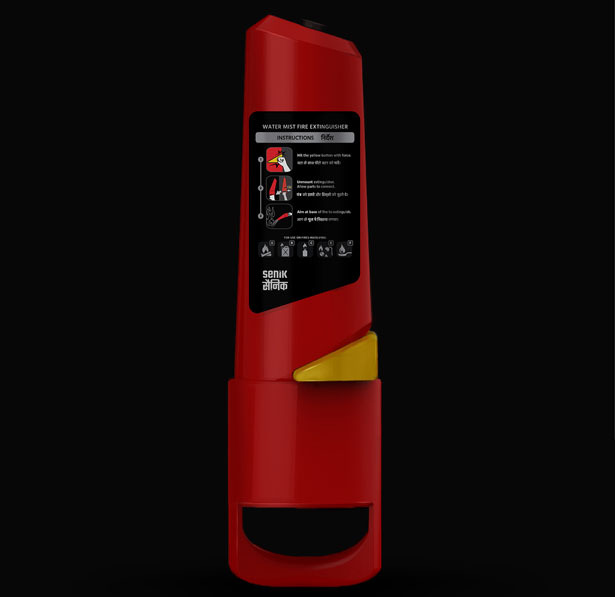 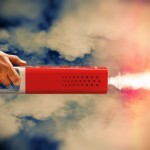 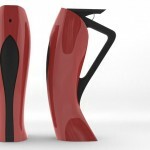 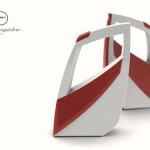 Fire safety in urban areas are usually inadequate, Senik is a concept fire extinguisher designed to make fire safety tools more accessible to diverse range of users and contexts. 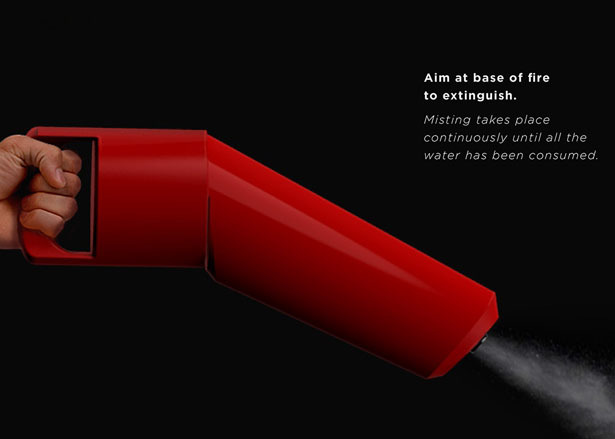 This project aims to create a low cost yet innovative fire extinguisher, combining water mist fire suppression with rapidly-decomposing gas generating systems. 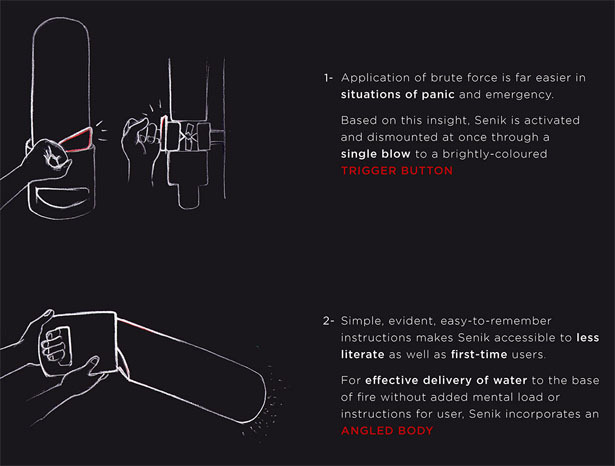 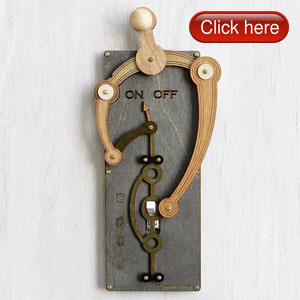 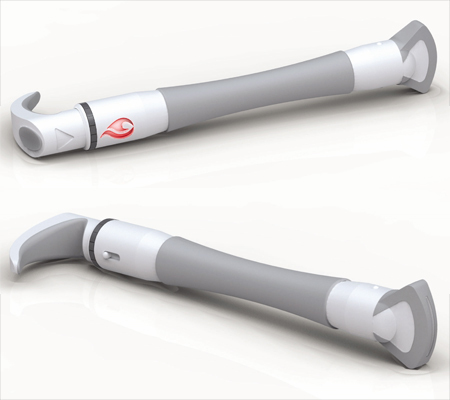 Featuring an angled design, Senik would be easier to use for untrained users, it is also reduce any mental load and instructions for users. 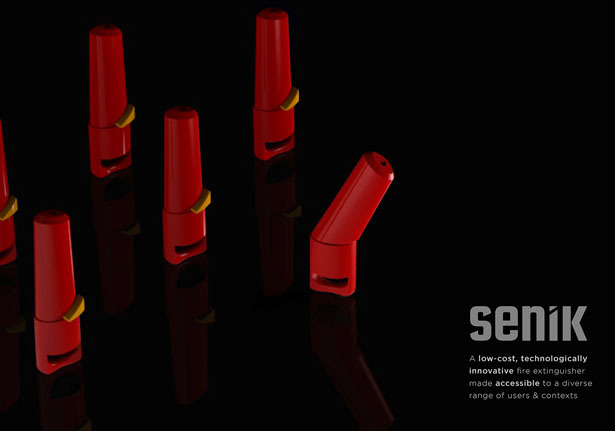 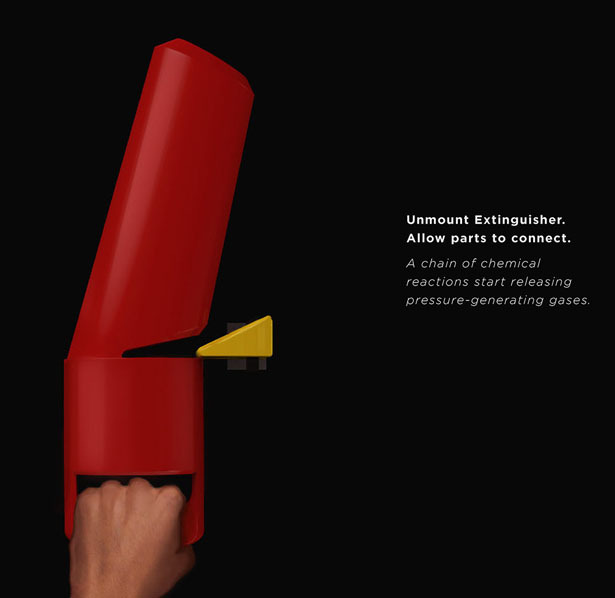 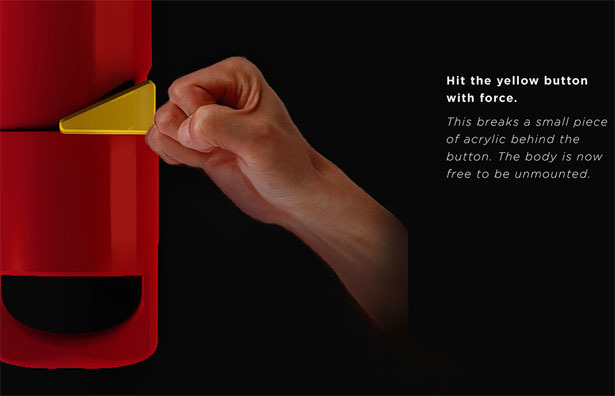 As most of us know, Brute Force is usually chosen in situations of panic and emergency, therefore, Senik can be activated and dismounted at once by a single blow using a brightly-colored trigger button. 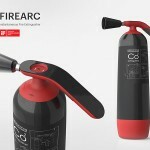 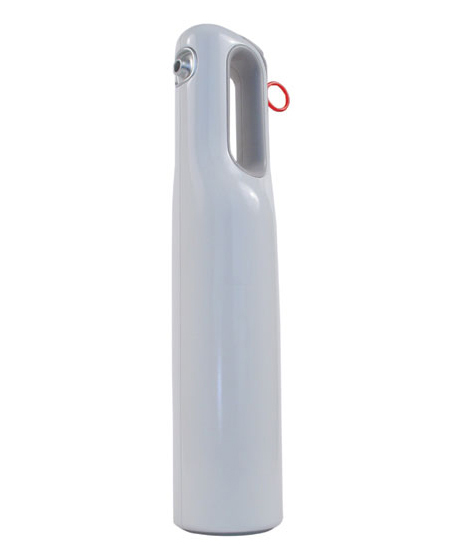 Tagged as better fire safety tool, easy to use fire extinguisher, fire extinguisher redesign, modern fire extinguisher concept, modern fire extinguisher design. 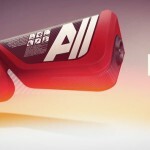 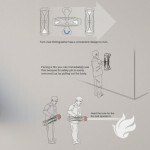 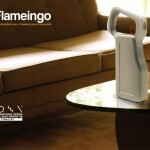 Turn Over Extinguisher : Give The Fire Extinguisher A Good Shake!